Professor Itse Sagay (SAN), the Chairman, Presidential Advisory Committee Against Corruption (PACAC), has called for the immediate arrest of Abdulrasheed Maina, an ex-pension boss indicted of alleged N2 billion corruption. Maina, who was the chairman of the defunct Presidential Task Force on Pension Reforms and currently on the wanted list of the Economic and Financial Crimes Commission (EFCC), had just been given double promotion and posted to the Ministry of Interior by the President Muhammadu Buhari administration. Recall that the ex-pension boss had fled the country after he was indicted of fraud and reportedly sacked from the Federal Civil Service under the Goodluck Jonathan administration. 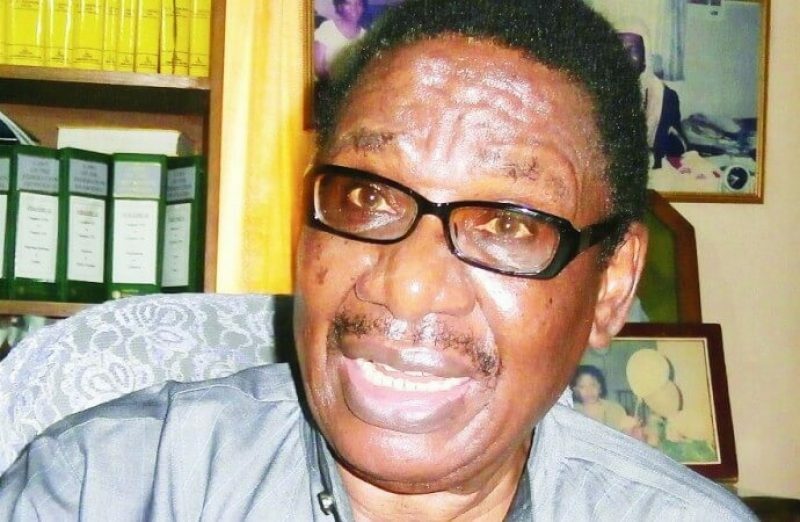 On learning of Maina’s return and reinstatement into the Service, Professor Sagay condemned the Head of Service of the Federation, Mrs. Winifred Oyo-Ita and the Minister of Interior, Abdulrahman Dambazau, for reportedly shielding the ex-pension boss. “This man was accused of embezzling billions of naira meant for pensioners who had spent all their lives serving this country. One man took the money they should rely on in their declining years, subjecting them to misery and hopelessness,” said the PACAC Chairman. “The EFCC should not just say they are aware; they should take action. The EFCC should now arrest him, interrogate him and if they can establish a case, prosecute him. They should also investigate all those involved in the reabsorbing and promotion of this man. “If it established that they brought him back into the civil service despite knowledge of the man’s alleged crimes, they are also accessories after the fact and should also be arrested and prosecuted,” Sagay said.